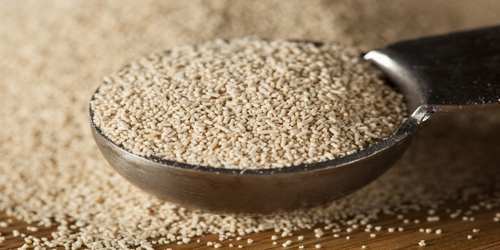 Yeast is any of various one-celled fungi that reproduce by budding and can cause the fermentation of carbohydrates, producing carbon dioxide and ethanol. It is a microscopic fungus consisting of single oval cells that reproduce by budding. Some yeast may form filaments (pseudohyphae, or false hyphae) similar to those formed by molds. There about 1,500 species of yeast currently described, estimated to be only 1% of all fungal species.Yeast is capable of converting sugar into alcohol and carbon dioxide. Yeasts, with their single-celled growth habit, can be contrasted with molds, which grow hyphae. Fungal species that can take both forms (depending on temperature or other conditions) are called dimorphic fungi (“dimorphic” means “having two forms”). Most yeast’s are ascomycetes, but there are also yeast species among the basidiomycetes and zygomycetes. The budding processes in yeasts show a wide range of variations. The ascomycete yeast Saccharomyces cerevisiae is used in baking to produce the carbon dioxide that leavens dough and batter. It has been the subject of extensive research in cell biology, and its genome was the first to be sequenced among eukaryotes. Yeast reproduces vegetatively by budding, a process during which a new bud grows from the side of the existing cell wall. This bud eventually breaks away from the mother cell to form a separate daughter cell. Each yeast cell, on average, undergoes this budding process 12 to 15 times before it is no longer capable of reproducing. During commercial production, yeast is grown under carefully controlled conditions on a sugar containing media typically composed of beet and cane molasses. Under ideal growth conditions a yeast cell reproduces every two to three hours. Yeast is the essential ingredient in many bakery products. It is responsible for leavening the dough and imparting a delicious yeast fermentation flavor to the product. It is used in rather small amounts in most bakery products, but having good yeast and using the yeast properly often makes the difference between success and something less than success in a bakery operation. 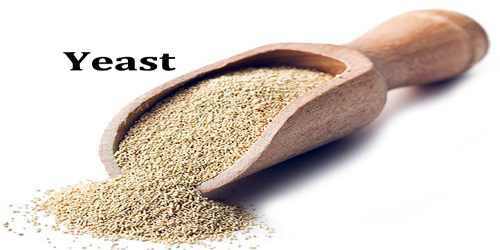 The word “yeast” comes from Old English gist, gyst, and from the Indo-European root yes-, meaning “boil”, “foam”, or “bubble”. 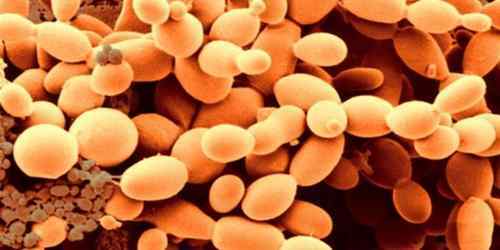 Yeast microbes are probably one of the earliest domesticated organisms. Archaeologists digging in Egyptian ruins found early grinding stones and baking chambers for yeast-raised bread, as well as drawings of 4,000-year-old bakeries and breweries. In 1680, Dutch naturalist Anton van Leeuwenhoek first microscopically observed yeast, but at the time did not consider them to be living organisms, but rather globular structures. Researchers were doubtful whether yeasts were algae or fungi, but in 1837 Theodor Schwann recognized them as fungi. Yeasts can grow in the presence or absence of air. Anaerobic growth, growth in the absence of oxygen, is quite slow and inefficient. For instance, in bread dough, yeast grow very little. Instead, the sugar that can sustain either fermentation or growth is used mainly to produce alcohol and carbon dioxide. Only a small portion of the sugar is used for cell maintenance and growth. In contrast, under aerobic conditions, in the presence of a sufficient quantity of dissolved oxygen, yeast grow by using most of the available sugar for growth and producing only negligible quantities of alcohol. Baker’s yeast production starts with a pure culture tube or frozen vial of the appropriate yeast strain. This yeast serves as the inoculum for the pre-pure culture tank, a small pressure vessel where seed is grown in medium under strict sterile conditions. Following growth, the contents of this vessel are transferred to a larger pure culture fermentor where propagation is carried out with some aeration, again under sterile conditions. These early stages are conducted as set-batch fermentations. In set-batch fermentation all the growth media and nutrients are introduced to the tank prior to inoculation. 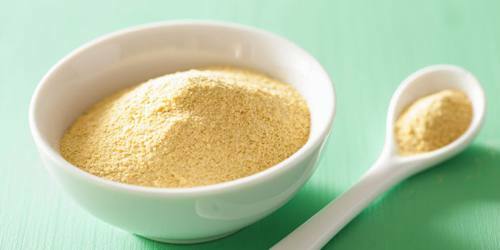 Yeast is very common in environments with sugar-rich material such as the skins of fruits and berries, and exudate from plants. Some yeasts are found in association with soil and insects while others including Candida albicans, Rhodotorula rubra, Torulopsis and Trichosporon cutaneum, have been found living in between people’s toes as part of their skin flora. Yeast is also present in the gut flora of mammals and some insects. Deep-sea environments host an array of yeasts. 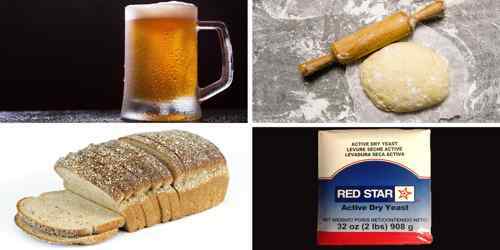 Yeast, the most common one being S. cerevisiae, is used in baking as a leavening agent, where it converts the food/fermentable sugars present in dough into the gas carbon dioxide. This causes the dough to expand or rise as gas forms pockets or bubbles. When the dough is baked, the yeast dies and the air pockets “set”, giving the baked product a soft and spongy texture. A variety of yeasts of the genus Saccharomyces are used in making beer and wine to provide alcohol content and flavor. Certain other yeasts, such as Candida albicans, are pathogenic in humans.